Blackjack is not just a fun card game to play; it has a historical value that is quite intriguing which makes playing the game even more interesting. No matter who invented or where it actually began, the fact of the matter is that it has evolved into a unique game that brings casino goers together. Be it online or on a real live table, there are so many versions of the game or variations on the house rules that it has really diversified into a popular game that you can play on reputable establishments and websites. 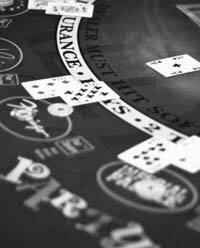 There is no single individual who could be linked to the invention and introduction of blackjack to the world. However, we can trace the historical antiquity of the game. We first trace the game from the 1700 France at the time when casinos are already popular amongst the Royal Family and even the nobles and rich as well as intellectuals. The game was called Ferme and this was said to be the prequel to the modern version of Blackjack. The Italians were also linked to the creation of the game through their seven and a half which was the very first game where the player can go bust if they go over the number that is supposed to be reached. Spain can also be attributed to the game but the winning total here is 31 and there is a rule to get the total using only 3 cards. The Europeans, by way of the French made their way across the Atlantic and into the Americas. Here, they have introduced the game and it has caught on pretty fast that after just a few years, the game has become very widespread in the Continental America.